Los Angeles was once known as the mural capital of the world. 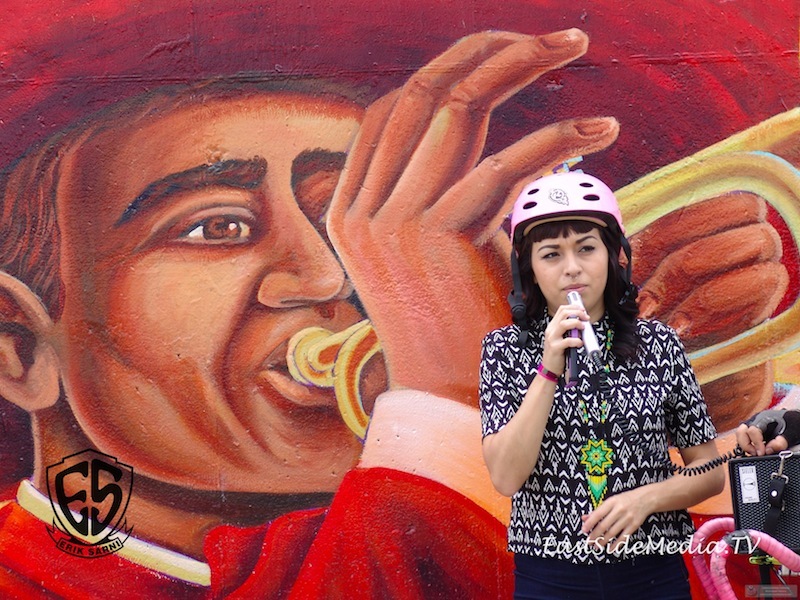 On saturday bicyclist honored and celebrated the spirit and took on a mural bike ride through the streets of Boyle Heights and East LA. The bike ride visited murals throughout both neighborhoods that reflected the unique spirit of the East Side. The 11 mile ride was family friendly and slow-medium paced. There were plenty of pit stops and rest breaks throughout the route. The route began at La Concha Community Space and ended at Casa del Mexicano! This ride was being organized by Boyle Heights Community Members FOR the East Side Community and it’s surrounding neighbors, community members and allies who recognize the current impacts of gentrification and displacement and who are in solidarity with the resistance movements against racist and classist displacement and gentrification. The event was hosted by Erick Huerta or Maryann Aguirre! Give it up to our awesome sponsors!